Did anyone else get hit by that sinus cold/infection thing that has been going around lately? I was down with it for most of last week, and I am so not good at being sick. Or doing that resting thing, but this crud kicked my booty. I found myself napping or lying down whenever I could and heading to bed early almost every night for at least five nights last week. And when this mama is down for the count, cooking meals at home comes to an abrupt and grinding halt. My husband doesn't really cook often, so I found myself texting him to pick up pizza or fast food before he came home from work last week more times than I would like to admit to you all. Add in the fact that I was in no shape to head to the gym at all for the duration of that yuckiness, and I was feeling pretty sluggish and unhealthy by the time this thing finally ran its course near the beginning of this week. I have eased back into my gym routine, but I am craving healthy foods after all the greasy fast food I consumed last week. 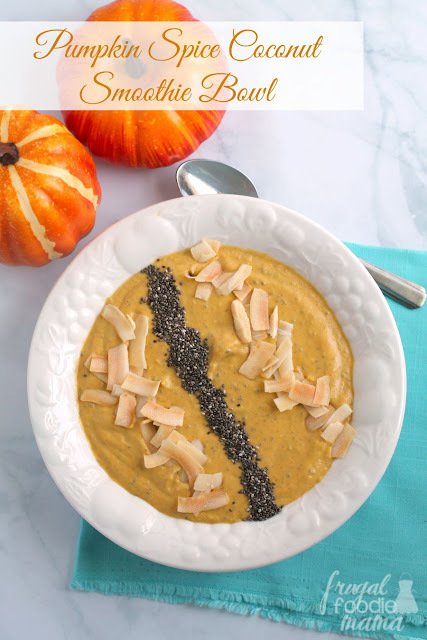 Add the avocado, coconut yogurt, 1 tbsp chia seeds, pumpkin puree, pumpkin pie spice, almond or coconut milk, and turbinado sugar to your blender. Blend until smooth. 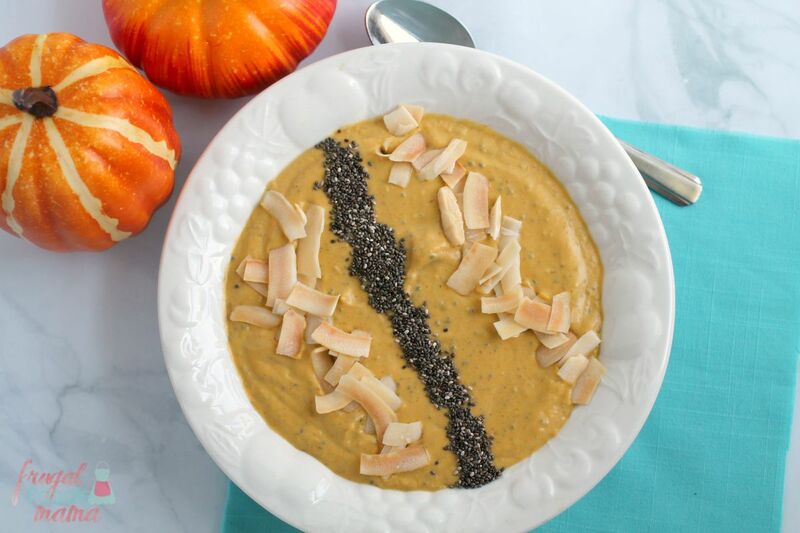 Pour into a bowl and garnish with toasted coconut chips & chia seeds (or toppings of your choice). How do you get back to feeling healthy fast after being sick? 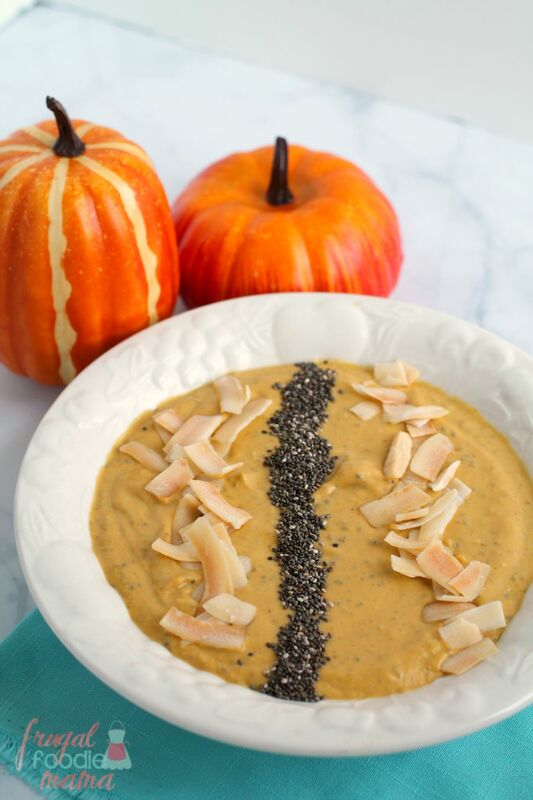 How would you top your Pumpkin Spice Coconut Smoothie Bowl? 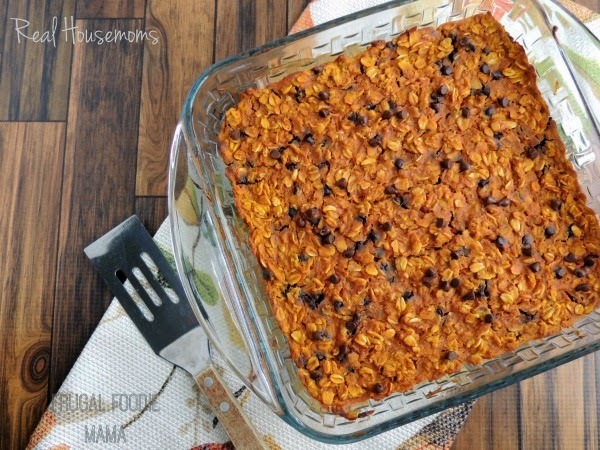 Follow Carrie (Frugal Foodie Mama)'s board Fall Favorite Recipes on Pinterest.